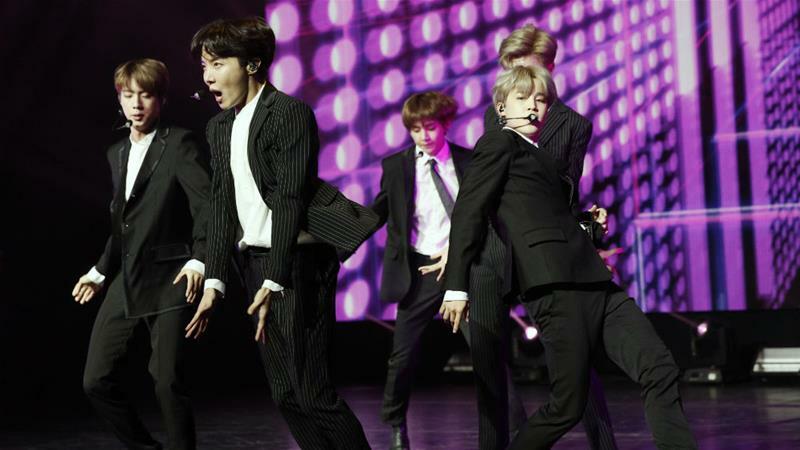 BTS apologised in a statement to its Japanese fans for not being able to make the appearance, without elaborating. The seven-member boy band was scheduled to appear on TV Asahi's flagship music program, Music Station, Friday night. The network said it talked to the record label about the shirt and then made a decision to cancel the appearance. Many have pointed out that while the controversy over the t-shirt design has been mentioned, another reason for the postponement may be the increasingly deteriorating relations between Japan and South Korea. Both South Korea and Japan are particularly sensitive when it comes to the legacy of World War II. Despite IZ*ONE's successful debut stage on KBS's ' Music Bank' last week, some netizens are still petitioning the girl group's promotions on the station; the government petition demanding a ban on IZ*ONE from appearing on public broadcast station programs now has approximately 30,000 signatures. But other fans rallied around BTS. "Jimin don't blame yourself", said one Twitter user. Earlier this week, a South Korean court ordered a Japanese company to compensate them for wartime labour during Japan's colonial rule of the Korean peninsula. With the Japanese government maintaining that all matters of compensation were settled through a treaty in 1965, political tension is high between the two countries.